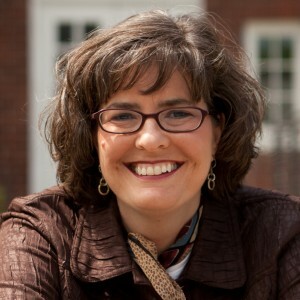 She has served as Principal Investigator for a number of major research projects including the first major study of faith-based intermediary organizations (2002); the largest national survey of evangelical Hispanic church-based community ministries in the U.S. (2003); and the largest national survey of charitable giving by Christian Women (Women Doing Well Survey, 2011-2012). She served for several years as Editorial Director for the Faith and Service Technical Education Network and oversaw for five years a demonstration project on financial literacy for urban youth. Currently Sherman serves as an advisor to New City Commons and is a participant in NCC’s “Vocation and the Common Good” project. In the early years of the national “faith-based initiative,” Sherman served as an advisor to the White House Office of Faith-Based and Community Initiatives and authored The Charitable Choice Handbook for Ministry Leaders. Sherman has written a number of other resource guides for faith leaders including Establishing a Church-based, Welfare-to-Work Ministry: A Practical How-To Manual and Sharing God’s Heart for the Poor: Meditations for Worship, Prayer, and Service. Sherman is the founder and former Executive Director of Charlottesville Abundant Life Ministries, a faith-based nonprofit assisting low-income, inner-city families. She is an active member of Trinity Presbyterian Church in Charlottesville, Virginia and also serves as a Senior Fellow for the International Justice Mission. She received her undergraduate degree in Political Science in 1987 from Messiah College and her M.A. and Ph.D. from the University of Virginia (1994).